it's nice to not have to explain anymore, "i'm only 19 and a freshman in college but yes my parents know i'm engaged and no i'm not pregnant." 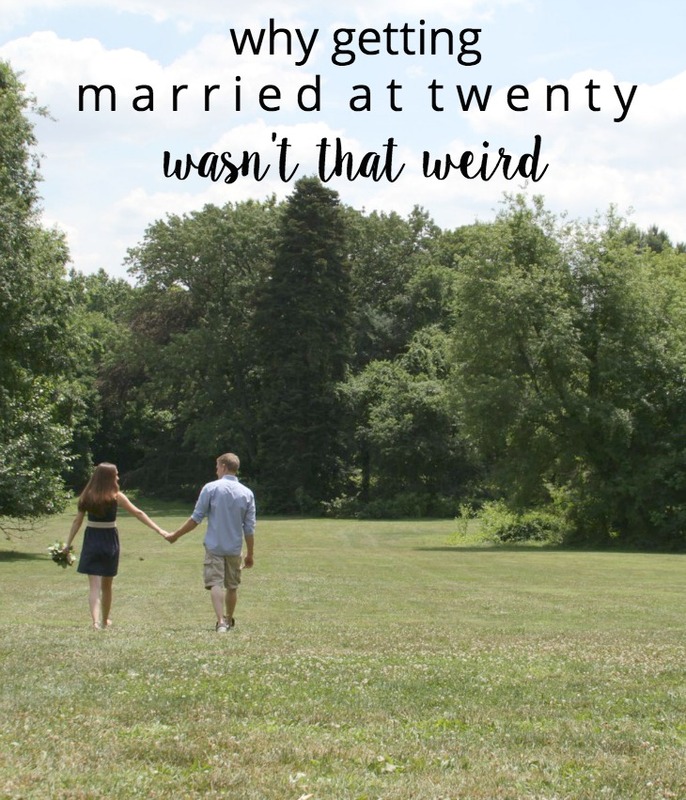 we've been married for 3 years, so i finally feel established enough (read: like i have enough street cred) to explain why getting married at 20 wasn't that weird (for us). 1// we knew we wanted to get married to each other at 18 and 19. while devin had this figured out way before i did, we both arrived at the same conclusion. i distinctly remember once when we got my car stuck in the snow, devin spent hours figuring out a way to get it un-stuck. he never gave up--getting nearby debris to put under the tires as traction, rocking it back and forth as i steered it in neutral...and he just never quit. sometime around hour number 3 when i was ready to cry, he put his arms around me, looked into my eyes, and told me we were going to get out of there. (we eventually had to call a few friends to bring shovels and help dig us out.) when you know, you know. why wait? 2// our life goals lined up. we both had similar dreams that God gave us--mine was to teach in philly, his was to work with his hands (electrician, carpenter). family is important to us, we both want kids, and God is the number one priority in our relationship. 3// our differences weren't that big a deal. devin is more of an introvert and i'm suuuper talkative/won't shut up/love to be around people. if it were up to devin, it would be us two spending 100% of our time together, and if it were up to me we'd be surrounded by people 24/7 and would miss out on quality time just us. these opposites weren't big or problematic though--our differences actually complement each other. 4// devin got a full-time job right out of high school, so we were financially independent. he started saving (except all those plane tickets from philly to boston my freshman year of college! ), so that when we got engaged, he was ready to buy a house. he supported us while i finished my degree at arcadia. 5// we were mature--not into partying, wasting money, etc. our communication skills could have used another chunk of time to develop, but God gives us grace for where we are. and we definitely learned so much about communicating in that first year! 6// our parents and pastors were on board! this wasn't a secret elopement or a shotgun wedding. i still remember talking to my parents over christmas break my freshman year of college, "so, what do you think about devin and i getting married? ...... and not waiting til i graduate?" they took me seriously, prayed for me, talked logistics, and were elated. we had lots of people praying for us as we approached the decision to get married! like i said: when you know, you know. why put it off until you both have graduate degrees, money for a fancy apartment or big house, and fully launched careers? getting married so young meant we'd experience all of life's adventures. together. know any couples who got married super young?